A proven method to help one with Parkinson’s manage their symptoms as well as the person who is taking care of them. Regular exercise is so important for a person with Parkinson’s to get. There are many exercises and stretches that one with Parkinson’s can do to help get the body moving. Having the person with Parkinson’s and the people that take care of them learn exercises and stretches can lead to living a better life. Freeze less and learn how to manage freezing episodes to decrease the incidence of falling. Stretch your muscles out that are rigid and stuck in a fixed position so your body parts can move freely. How to help you when you are having a freezing episode so that you can safely get out of it without falling and hurting yourself. How to take you through exercises to get your body warmed up and moving. Take you through exercises when a trainer isn’t there. 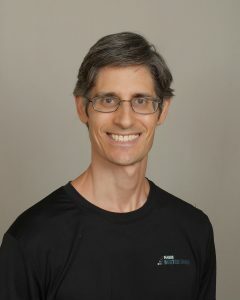 People who have Parkinson’s can greatly benefit from being on a regular exercise program to reduce and manage their symptoms and live a higher quality of life which Jonathan has extensive experience doing. Over the years he has worked with people who have Parkinson’s ranging from 47 – 91 years old and from mild to advanced symptoms. He has helped people: walk and move better, increase their flexibility and balance, become more agile, decrease their rigidity, reduce their tremors, improve their overall body strength as well as improving their cardiovascular system. He designs a program for the person and teaches them how to do it if appropriate and/or teaches the people who take care of them. He provides pictures and videos on how to do the exercises if wanted. Parkinson’s disease (PD, also known as idiopathic or primary parkinsonism, hypokinetic rigid syndrome (HRS), or paralysis agitans) is a degenerative disorder of the central nervous system. The motor symptoms of Parkinson’s disease result from the death of dopamine-generating cells in the substantia nigra, a region of the midbrain; the cause of this cell death is unknown. Early in the course of the disease, the most obvious symptoms are movement-related; these include shaking, rigidity, slowness of movement and difficulty with walking and gait. Later, thinking and behavioral problems may arise, with dementia commonly occurring in the advanced stages of the disease, whereas depression is the most common psychiatric symptom. Other symptoms include sensory, sleep and emotional problems. Parkinson’s disease is more common in older people, with most cases occurring after the age of 50. The main motor symptoms are collectively called parkinsonism or a “parkinsonian syndrome”. Parkinson’s disease is often defined as a parkinsonian syndrome that is idiopathic (having no known cause), although some atypical cases have a genetic origin. Many risks and protective factors have been investigated: the clearest evidence is for an increased risk of PD in people exposed to certain pesticides and a reduced risk in tobacco smokers. The pathology of the disease is characterized by the accumulation of a protein called alpha-synuclein into inclusions called Lewy bodies in neurons and from insufficient formation and activity of dopamine produced in certain neurons within parts of the midbrain. Lewy bodies are the pathological hallmark of the idiopathic disorder, and the distribution of the Lewy bodies throughout the Parkinsonian brain varies from one individual to another. The anatomical distribution of the Lewy bodies is often directly related to the expression and degree of the clinical symptoms of each individual. Diagnosis of typical cases is mainly based on symptoms, with tests such as neuroimaging being used for confirmation. People who have Parkinson’s respond very well to exercise and can help manage and reduce many of the symptoms through increasing the dopamine efficiency in the body. Most people with Parkinson’s are on medication to help manage and reduce their Parkinson’s symptoms. Through working with a number of people with Parkinson’s over the years I have personally found that the medication helps tremendously, however, when a person incorporates regular exercise their bodies function much better. One of my client’s doctor said exercise is one of the best things one can do who has Parkinson’s. Jonathan has a number of clients who have Parkinson’s ranging from 47 to 91 and from beginning stages to advanced. Jonathan has developed specific exercise programs tailor-made to the individual to help them: move better, have better balance, reduce their rigidity, improve their balance and flexibility, increase their stamina and reduce their body fat. Jonathan has helped train the family and caregivers to work with the person having Parkinson’s in order for them to get regular exercise to help manage and reduce their symptoms. a circuit training program incorporating intervals of walking and seated, standing or lying down exercises. interval training on a cardiovascular piece of equipment like a bike, treadmill, or Stairmaster where the speed or intensity is changed. interval training of running with jogging or even sprinting. interval training of altered walking speeds; walking fast to walking at a moderate pace. Exercise helps greatly to increase the dopamine efficiency in the body and can help lessen the amount of medication needed if one is on any. Exercise helps the body function more effectively. Rigidity is a very prevalent symptom of people who have Parkinson’s ranging from them feeling an overall feeling of stiffness to where their body stiffens in different positions. Many people feel stuck and they don’t know what to do. The person winds up staying molded in positions which they don’t necessarily have to. I have a client whose arm gets very stiff and rigid. When I attempt to stretch the bicep by extending the arm I feel a lot of resistance from the muscle and the muscle feels like it has ball in it. I stretched the arm out through a combination of active (holding for one or two seconds) and static stretching (holding for 20-30 seconds). I have experienced the muscle eventually loosens. I had a client I trained whose upper back rounded a lot and he would get very stiff in that position. When I attempted to stretch his chest out it and he would feel some pain and discomfort. After stretching it out about 5 to 10 times through active and static stretching the muscle would loosen up, his feeling of pain would diminish and he would sit up better. Another common effect from Parkinson’s is where one leans to one side. I had a client who would be sitting in the chair and be leaning to one side. I was able to stretch him the opposite way and his body straightened out.